Dr. Laura Archives - Joe.My.God. 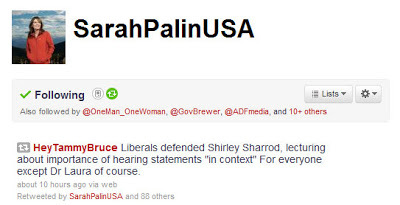 Do you think Palin knows that Tammy Bruce is a big ole lesbian? Strange, strange bedfellows in Teabagistan these last few days, huh? 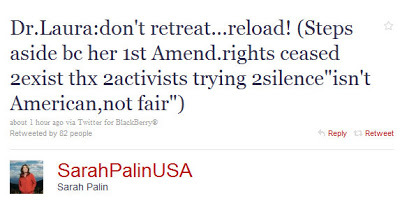 Mama Grizzly don’t appear to understand the First Amendment, do she? Dr. Laura Schlessinger told Larry King tonight that she is leaving her show after her contract expires at the end of the year. Schlessinger says she’s lost her First Amendment rights after repeatedly saying the N-word on the air. After the show first aired last week, Media Matters immediately launched a call for advertisers to cancel their contracts.